There is an article by Sandra Wendel which appeared in the December 2017 issue of the IBPA Independent magazine. Ms Wendel is an experienced book editor who specializes in helping authors write, polish, and publish their manuscripts; she gives the following example of “doing whatever it takes” as an editor. 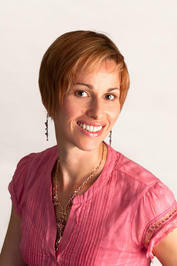 Her website is https://www.sandrawendel.com/. “Brian and I met in a book-writing class I was teaching at the community college. The manuscript he brought me read like a police report with words like “vehicles,” “perpetrators,” and “victims.” So I invited him to my home office, sat him down, and we began. As I spoke with each of them separately, I could see nobody wanted to talk yet, so I made it very clear to Preston and Gaylan that I was a homicide detective, not a narcotics officer, and this case that brought me to them was just getting started. Gaylan was first. If someone was going to talk, I thought it would be Gaylan. I walked into a fourth-floor interview room of the Criminal Investigation Bureau at downtown police headquarters. Gaylan was sitting at the same table where he’d been sitting for nine hours while we were searching his house, the recording studio, the lawn service, the remaining storage units, and his secondary houses. He’s a big guy, twenty-four years old, and was tired from sitting in a ten-by-ten room all day. He wasn’t handcuffed, but there was a guard outside the door. “You got big problems.” I opened the conversation. “I got a receipt and inventory of all the stuff we recovered today, and it doesn’t look good.” I handed him a list of the property seized. “I’m a homicide cop, and that’s what this is all about, so you might be in your best position right now to tell me what you know,” I said. “If someone else wants to talk first, they’ll get all the good things that come with it.” And he chose not to talk. I gave the same spiel to Preston. He had the same attitude. He wasn’t talking. Roscoe and I then walked Gaylan to the jail elevator and rode it to the basement of the police station. We put our guns in the gun locker and walked him into jail. He was booked in for his marijuana charges and taken to his concrete ten-by-ten cell in solitary confinement, which on the street has earned the name Bedrock. We did the same procedure for Preston. “And the story came out, excruciating detail by detail, so readers could go inside the mind of this talented detective and follow his story from crime scene to courtroom, gasping when blood was found under the carpet of a home, unbeknownst even to the current residents. 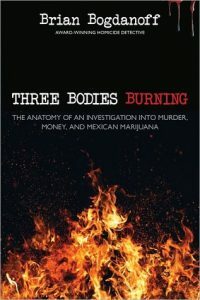 Readers followed the thread of a note found in the pocket of one of the burned bodies to the hotel where the cartel guys stayed. “We described more key scenes with fresh detail and dialogue. And then we went to the crime scenes themselves where I took photos of the roadside burn site where religious artifacts had still been left presumably by grieving family five years later; to the yellow house where the gangbangers shot the Mexicans and loaded their bodies into a pickup that left a dripping blood trail down the street; to the neighborhood where the bangers lived that didn’t feel safe even at two in the afternoon with an armed police officer giving the guided tour. The moral of this article is that it takes a different mentality to be a good homicide detective, than the mentality of a writer who can make the detective’s story come alive in the mind of the reader. 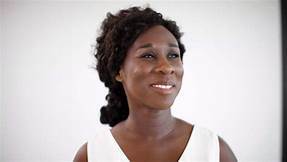 I went through the short list of candidates for this year’s Man Booker prize, and I selected Washington Black by Esi Edugyan as one I wanted to read. Esi Edugyan was born in 1978 to immigrants from Ghana and raised in Calgary, Alberta. She studied creative writing at the University of Victoria and received a master’s degree from Johns Hopkins Writing Seminars. Her debut novel, The Second Life of Samuel Tyne was published at the age of 24, and despite favourable reviews of it, she had difficulty finding a publisher for her second manuscript. She was a writer-in-residence in Stuttgart, Germany, where she found inspiration for Half Blood Blues, which was published in 2011 and short listed for the Man Booker. 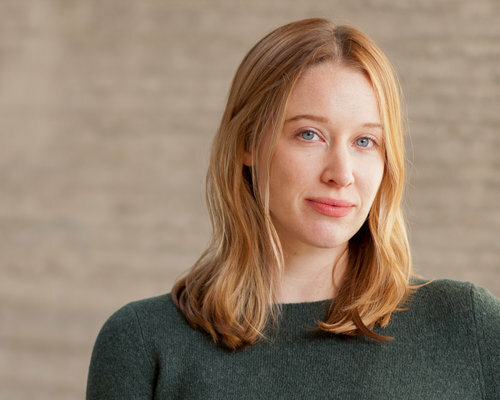 She has since written a book of non-fiction, Dreaming of Elsewhere: Observations on Home, and Washington Black, which was published in September 2018. 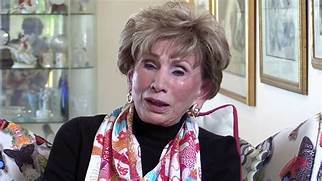 She currently lives in Victoria, British Columbia with her husband, the novelist and poet, Steven Price and their two children. Washington Black is set initially on a sugar plantation in Barbados in the 1830’s. An eleven-year-old field slave, Washington Black, is selected by the younger brother of the plantation manager,, Erasmus Wilde, to be the younger man, Titch’s servant. While Erasmus is the irascible slave driver, Titch is a scientist with abolitionist sentiments, and he needs Washington to help him launch a prototypical lighter than air ship, the Cloud-cutter. While preparations for the launch are underway, the Wilde brothers’ cousin, Philip, arrives on the plantation. Philip brings news that his cousins’ father has died, and that their mother requires Erasmus to return to England, while Titch should take over the plantation, an assignment which he definitely does not want. Philip commits suicide in the presence of Washington, so that the boy becomes a suspect of murder. Titch and Washington depart hastily in the Cloud-cutter, but the craft is downed in a storm at sea and they are rescued by a ship which takes them to Norfolk, Virginia, where they find passage into Hudson’s Bay, Canada, where Titch’s father, an arctic explorer is supposed to have died. But he hasn’t died, until later. Titch disappears and Washington travels to Nova Scotia where he finds work and a Mr Goff, a marine biologist and his daughter Tanna, who becomes his love interest. Washington travels to London to help the Goffs set up a pioneering aquarium. Washington has Titch on his mind and he tracks him down in Morocco. There is something surreal about this tale of achieving adulthood in the midst of tenuous relationships while travelling through a strange and hostile world. All of the characters, with the possible exceptions of Washington and Tanna, are lost souls: people who have no chance of realising their human potential. It is not clear to me what Ms Edugyan is hoping I will take away from her novel, except that being black is a life handicap and a being a slave is intolerable. While the story in intriguing, I found my credibility being stretched now and then. For example, Washington is uneducated except for some reading lessons from Titch, yet he designs a grand, state of the art aquarium, and aspires to have his name mentioned by the Royal Academy. Ms Edugyan’s writing is interesting, but occasionally it slips away from her as when she describes one character: “His was a small, square face in which the bones sat high and prominent, and the gesture seemed to thrust his skull to the very surface of his brow.” I had the impression that the skull is just below the surface of the brow in any case. Washington Black will appeal to those who enjoy the rousing adventures of an ex-slave. There is a helpful article in the October issue of The Florida Writer with the above title. It was written by Jordan Rosenfeld. Her website says that, “Jordan holds an MFA in Creative Writing & Literature from the Bennington Writing Seminars and a B.A. in Liberal Studies from the Hutchins School. She is a former resident of Petaluma, California . 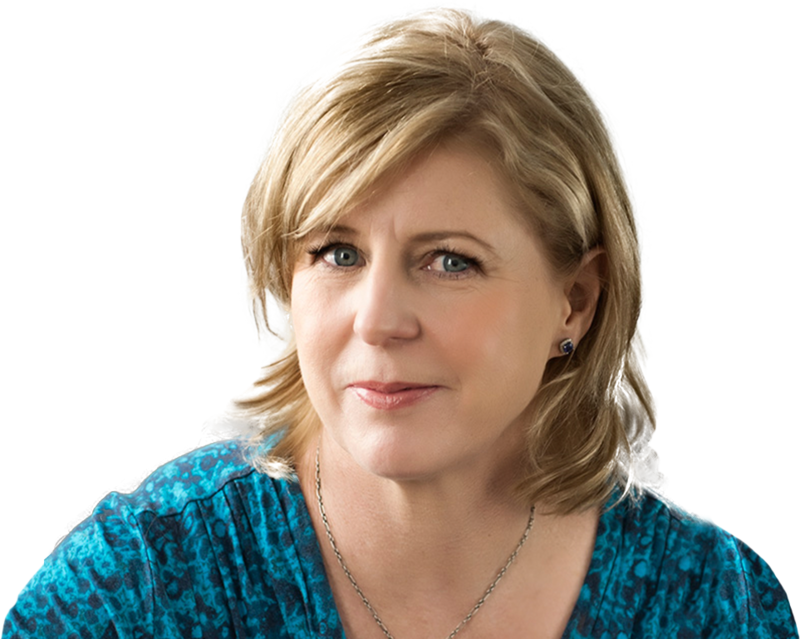 . . who is an author, editor and freelance writer.” She has written three suspense novels, five writing guides and has appeared in: The Atlantic, GOOD, New York Times, New York Magazine, San Francisco Chronicle, Scientific American, Writer’s Digest, and many more. Where are my characters in the plot? Where did I leave them in the last scene and what are they doing now? What is the most important piece of information that needs to be revealed in this scene? What is my protagonist’s goal for this scene? How will that goal be achieved or thwarted? 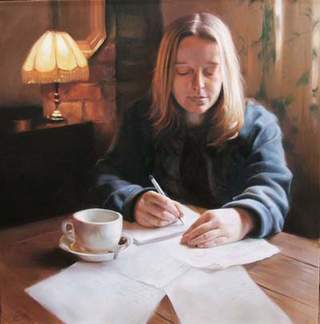 “It is generally a good idea to get your characters on the page sooner rather than later. . . . If your character isn’t present by the second paragraph of any given scene, you’re in danger of losing the reader. . . . A scene feels purposeful when you give the character that stars in it an intention, or goal to pursue. . . . Scene intentions ought to be intricately tied to the plot, i.e., your character’s goal – and the unfolding of that goal through actions, discoveries, and explorations your character undertakes that drive the story continually forward. Actually, the first series of Big Little Lies completed in April of last year, and a second series was announced in December. Ms Moriarty has since written Three Perfect Strangers. Most of the rest of the Telegraph article deals with Ms Moriarty’s excitement in meeting Nicole Kidman, reaching an agreement on the sale of rights, and of her creation a a character to be played by Meryl Streep, whose real name is Mary-Louise, we are informed. But to return to the main point of the article, I certainly have some sympathy for the name given to what Wikipedia calls ‘genre fiction which consists of heroine-centered narratives that focus on the trials and tribulations of their individual protagonists”, because ‘chick lit’ has become a somewhat pejorative term. Wikipedia goes on to say, “While chick lit has been very popular with readers, critics largely disapproved of the genre. Reviewer Alex Kuczynski, writing for The New York Times condemned Helen Fielding’s novel, in particular, writing ‘Bridget is such a sorry spectacle, wallowing in her man-crazed helplessness, that her foolishness cannot be excused.’ Writer Doris Lessing deemed the genre “instantly forgettable” while Beryl Bainbridge called the genre ‘a froth sort of thing’. As I mentioned in an earlier blog, there are literary agencies which specialise in chick lit, though they don’t specifically say so; their focus is immediately clear from the covers and titles of their authors. Chick lit is big business! It seems to me that if Ms Moriarty doesn’t like her work to be called chick lit, she should change her subject matter and style or she should invent a new name for her genre – something like ‘Good Women’s’. It certainly doesn’t classify at Literary Fiction. To argue, in effect, that the chick lit genre should be deleted because women read more fiction than men – while it is true that women read more – doesn’t make sense. How are we going to distinguish serious female writers like Kate Atkinson from writers like Helen Fielding? Having finished the books I brought with me to Sicily, I went to the local bookstore which has a small selection of English language books, but I found nothing that intrigued me. Looking on the bookshelves in the house, where guests occasionally leave books, I found Midnight’s Children by Salman Rushdie. Mitigating against reading it were its length (647 pages), and its author (I’ve read The Satanic Verses and admired it, but didn’t particularly enjoy it). The main factor in favour of reading it is that it is twice the winner of the Booker of Bookers: the best Booker Prize winner in the last 25 years and 40 years. The story, written in 1981, deals with the recent colonial past of the Indian subcontinent, its independence and its partition into two states: India and Pakistan. The narrator is Saleem Sinai who was born at midnight, the precise moment of India’s independence, and who is telling the story to his future wife, Padma. Saleem is born with a huge, dripping nose with exceptional olfactory powers, such that he is able to read thoughts and identify intentions. He learns that all the children born at the moment of independence are gifted with extraordinary powers, and he forms a Midnight Children’s Conference to try to influence events, including political developments and subcontinental wars. In particular, allegorical style is used to critique the governance of Indira Gandhi during the ‘Emergency’ period. Mrs Gandhi brought a suit against Rushdie, not for his slating of her administration, but for a single sentence criticising her family relationships; this sentence has been removed from current editions. As well as the Conference, the tale involves Saleem’s extended family: mother, father, sister, grandparents, aunts, uncles and his infant son. The style of the book is magical realism, not conforming to any particular genre, it is factual, comical, suspenseful, magical, surreal, historical and mythic. 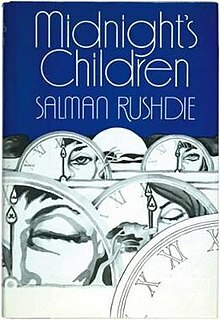 In his introduction to the 2006 edition, Rushdie says, “In the West, people tended to read Midnight’s Children as a fantasy, while in India, people thought of it as pretty realistic, almost a history book.” Though I have traveled to India three times, and know something of its history and culture, I read the book primarily as a fantasy, which is a shame: I feel I have missed an important dimension of the book. It must be said that Salman Rushdie is an extraordinary story-teller: he has great imagination and invention, and sometimes I felt that he has invented himself into a corner – how can he get out of this one?- only to read a clever, smooth and sensible transition out. His command of language is breath-taking, leaving one with the clearest possible image of what is happening. Occasionally, though, I felt left out by his use of Hindi (or other native) words and expressions which are undoubtedly appropriate. There were also times when I felt that his excursions into descriptive fantasy were too lengthy, and yet, long as it is, I wanted to read on. Lemn Sissay was interviewed by Stephen Sackur on BBC’s Hard Talk a few weeks ago. At the time, I was impressed by this man who lifted himself from ignorant child immigrant to intellectual star in the most adverse circumstances imaginable. Sissay’s mother, an immigrant from Ethiopia and pregnant with him, arrived in England in 1966. He was born in Wigan, Lancashire in 1967. The social worker responsible for his mother renamed him ‘Norman’ and gave him to foster parents with the suggestion that they should consider it an adoption, while his mother went to Bracknell to finish her studies. She refused to sign the adoption papers, saying that she wanted her son back when she was more settled. Social services ignored this. Sissay’s adoptive parents, being strongly religious, wanted to rename him Mark after the Christian evangelist and give him their surname: Greenwood. They were very strict parents, but kind in their way. 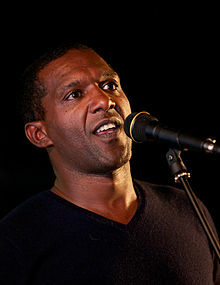 When Sissay reached the age of 12, he became somewhat difficult to manage. The Greenwoods, who by then had three children of their own, decided he was possessed by the devil, turned him over to social services, and announced that they wanted nothing more to do with him. From the age of 12 to 18, Sissay was held in four childrens’ homes where he was physically, emotionally and racially abused. When he left the care system, he was given a flat with no bed; the head of social services said he should be taught a lesson, but what was the lesson? Sissay asked to see his files from social services; he had no family, no papers and no photos. His life history was contained in those files. He was given only two documents. One showed that his real name was Lemn Sissay. The second was a letter his mother had written to the social worker when Sissay was one, pleading for his return. He continued to request his files. In 2015, after being told that the files were in remote storage and had been lost, he was given his files and an apology by Wigan Council. In 1988, after a long search, he met his birth mother in Gambia where she was working for the UN. At the age of 17, Sissay used his unemployment money to self publish a pamphlet of poetry . 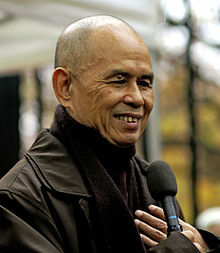 He released his first book of poetry in 1988 at the age of 21 and he has been a full-time writer since the age of 24, performing internationally. He has written eight books, and eleven plays, four for BBC radio, many featuring his maltreatment as a child. In 2009, he was made an honorary doctor of letters by the University of Huddersfield and the following year he was appointed an MBE (Member of the Order of the British Empire). Our families are the repositories of our histories and therefor of our memory. Without family we are amnesiac. Forgiveness of the injuries we have suffered leads to healing of those injuries.